The approximate site of the interception. It is 750 nautical miles away from the nearest Turkish naval base. The Turkish Coast Guard made an illegal substance interception 750 nautical miles away from Turkey. The operation was conducted somewhere 78 nautical miles off Tripoli, Libya and 150 nautical miles off Sfax, Tunisia. 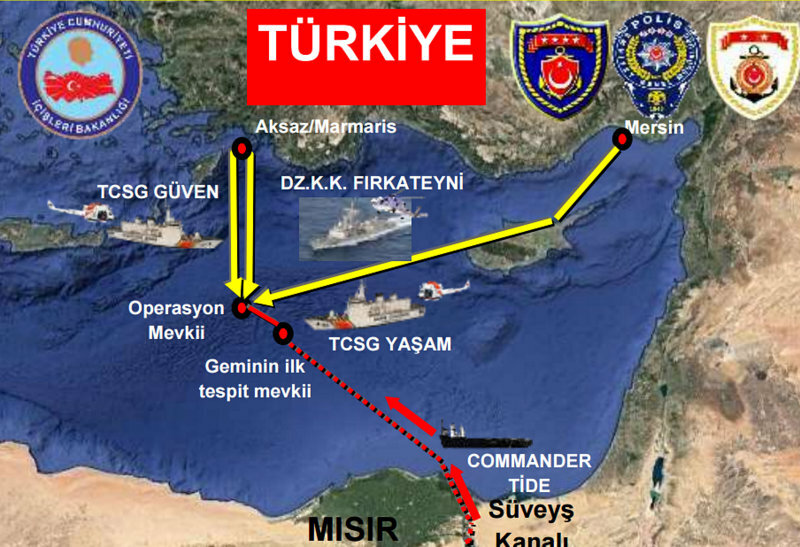 This is the most distant operation ever carried by the Turkish Coast Guard. Acting on a tip-off, Turkish security forces established that suspected drug traffickers aboard M/V Pervin Oğulları sailed away from the Izmir, Turkey in early February to the coasts of Mauritania, Morocco, and Algeria, to acquire large amounts of drugs. The drugs were intercepted on their way to Turkey before the traffickers were able to distribute them to smaller vessels before smuggling them into Turkey. 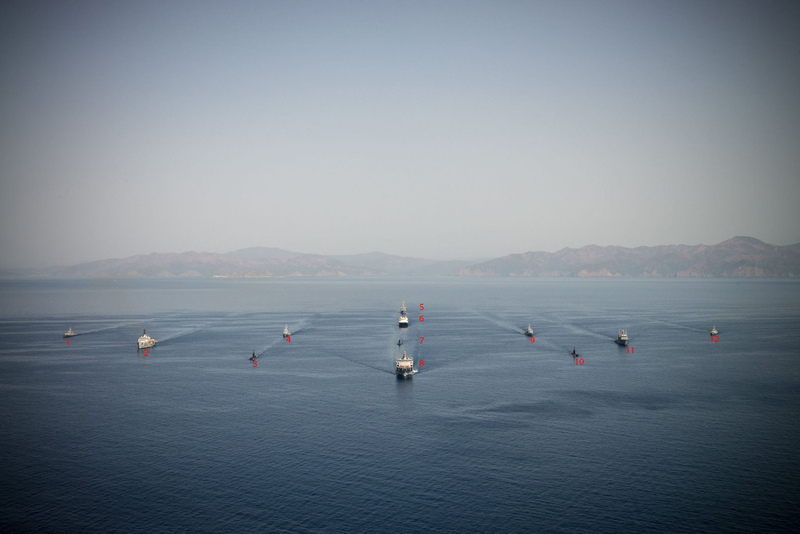 Two Dost class offshore patrol vessels of the Turkish Coast Guard, TCSG Umut and TCSG Yaşam took part in the operation and carried two helicopters and 25 law enforcement officers, 15 of them from the Gendarmerie. The 6 crew of the fishing boat has been arrested along with 7 others in Turkey. The fishing boat was brought to Izmir, Turkey where it has started it’s ill-fated voyage. Here is a 20-minute long video of about the operation including the footage of the actual boarding conducted at 04.00 am on 15 April 2019. The commissioning of Dost class vessels has really increased the operational range of Turkish Coast Guard and it is nice to see that these vessels are deployed properly for long distance operations freeing up warships. A part of the NATO fleet gathering in Toulon for Brilliant Mariner 2017. Refer the numbers to the list below for identification. Photo: French Armed Forces. 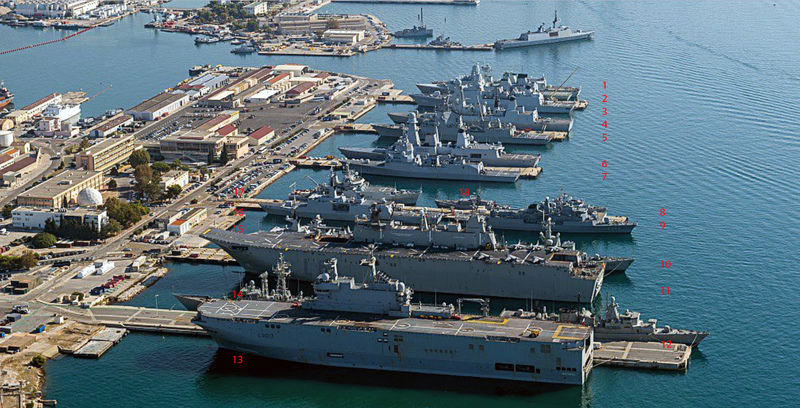 A large fleet of warships gathered in French town Toulon this week. 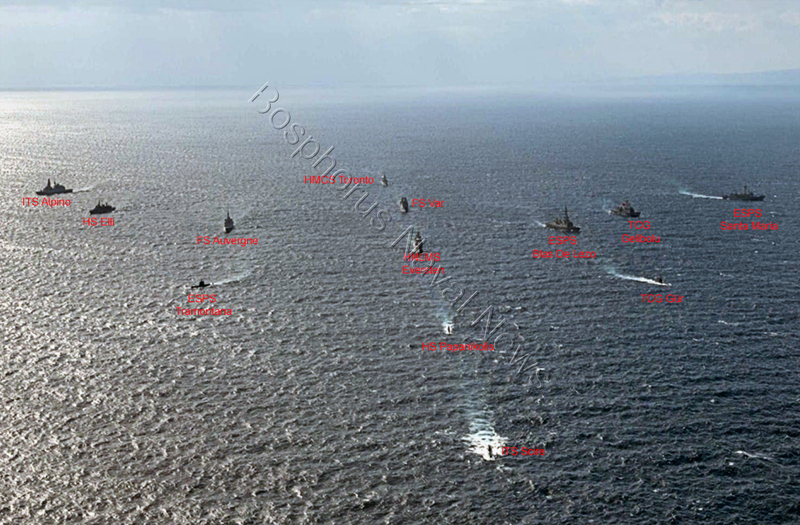 The ships are part of NATO Maritime Command’s both Standing NATO Maritime Groups (SNMG) and Standing NATO Mine Countermeasures Group 2 (SNMCMG-2). In addition to the four NATO task forces, France and Spain have sent additional ships for the exercise. Rapid Response Force Headquarter as well as the participating units. Below is the list of the ships taking part in the exercise. For the names of the ships of the photo above please refer to the last column. Any additions and corrections are most welcome. 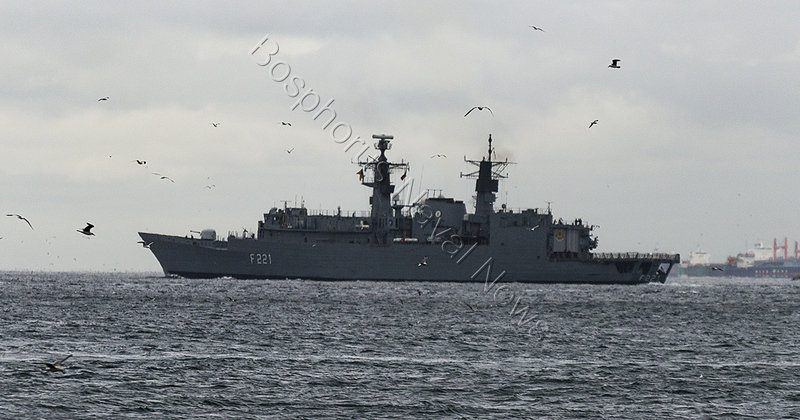 UPDATE: I have removed SNMCMG-1 as it is taking part in another NATO exercise. 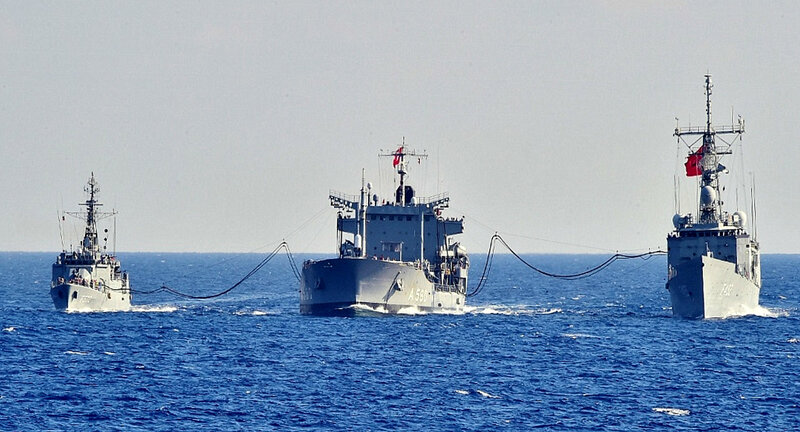 Submarine rescue exercise Dynamic Monarch is continuing in Eastern Mediterranean, near Turkish Naval Base Aksaz. 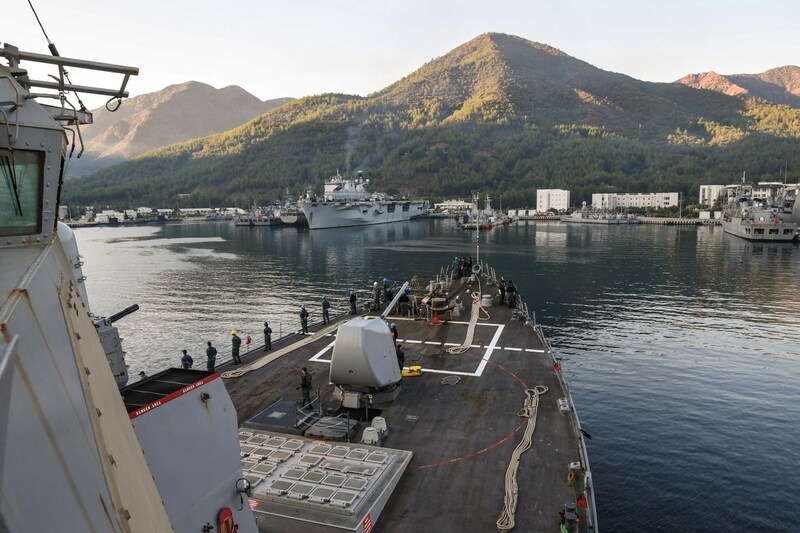 The exercise is hosted by Turkey and sponsored by NATO. The participants are demonstrating multinational submarine rescue cooperation and interoperability. The exercise enables worldwide partners to share submarine escape and rescue related knowledge. The above photo posted by NATO Submarine Command shows the participants to the exercise. M/V Commander Tide being towed towards Aksaz Naval Base by tug TCG İnebolu. Turkish Navy and Turkish Coast Guard conducted a joint operation and confiscated 1071 kilograms of narcotics of board of M/V Commander Tide. M/V Commander Tide is a Democratic Republic of the Congo flagged off shore supply vessel. On 30. 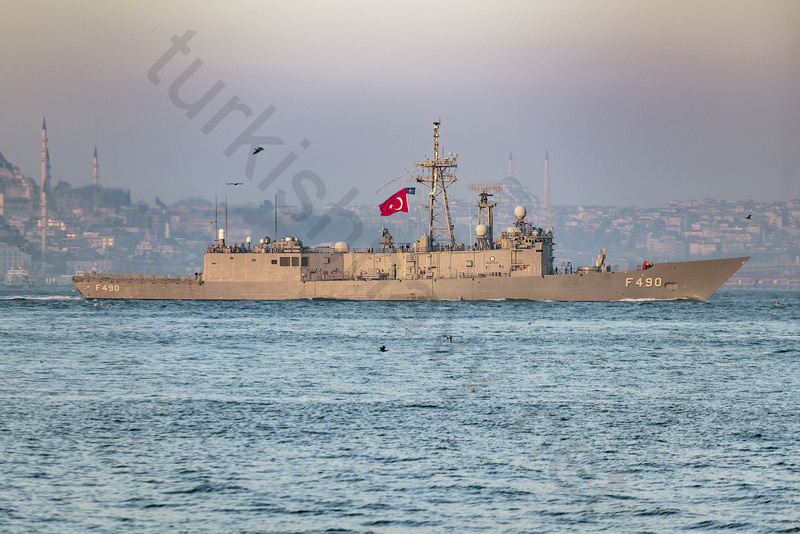 May 2017, upon receiving a tip-off about the narcotics on board of M/V Commander Tide, frigate TCG Gemlik was deployed to Eastern Mediterranean close the northern entrance of Suez Canal with a helicopter and a naval special forces team on board. Acting as the lookout, the frigate found M/V Commander Tide and started to shadow her. The route of the ships and the location of the operation. Yellow for coast guard vessels, red for the target. Two off shore patrol vessels from Coast Guard were deployed with anti-drug police teams, TCSG Yaşam from Mersin and TCSG Güven from Aksaz. Both ships intercepted their target in international waters of Mediterranean between Turkey and Suez Canal. On 2. June 2017 before the midnight one naval special forces team boarded the vessels from the sea while a second one fast-roped from a Seahawk helicopter of the navy. The M/V Commander Tide was under control in 26 minutes and her 9 strong Turkish crew were arrested. 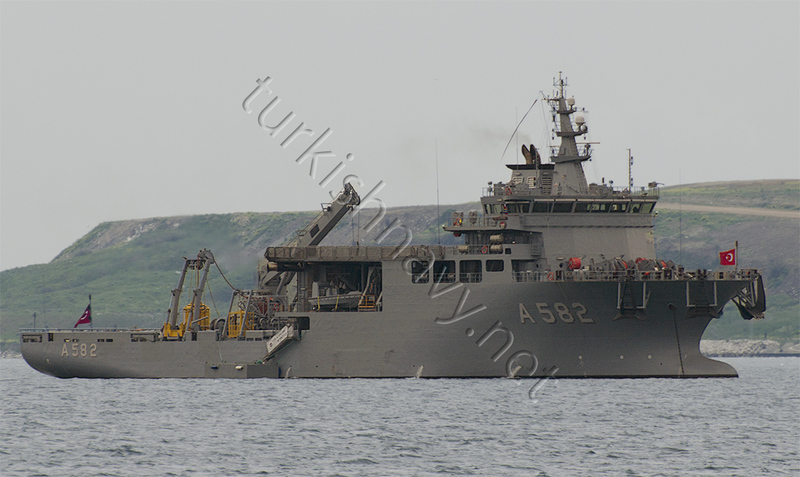 The ship was towed to Aksaz Naval base by Turkish naval tug TCG İnebolu. Teams from the police’s anti-drug branch and Muğla Coast Guard Command carried out searches on the ship and found clandestine sections, of which one included 1071 kilograms of heroin hidden in 40 sacks. According to the police, the amount of heroin corresponds to the highest seized by security forces in Turkey’s recent history. The operation was dedicated to Coast Guard sailor Alper Al, who was killed by an IED attack on May 22, 2016.